Although the healthcare sector in India has greatly progressed in terms of research and development of medicines and treatment for new diseases, there is still a surprising lack of awareness among people, particularly those in rural communities, on how to take care of their loved ones, especially those who require post-surgical care. In order to educate people on the risks that surgeries involve and how patients are to be looked after during an emergency, four graduates from Stanford Design School co-founded Noora Health, an NGO, in 2014. Little did these co-founders know that what started as a college project in 2012 as a part of their graduate degree would turn into an organisation through which they can bring about change in the lives of many people. A few years ago, Shahed Alam, Edith Elliott, Katy Ashe and Jesse Liu were pursuing a design course offered at Stanford University. 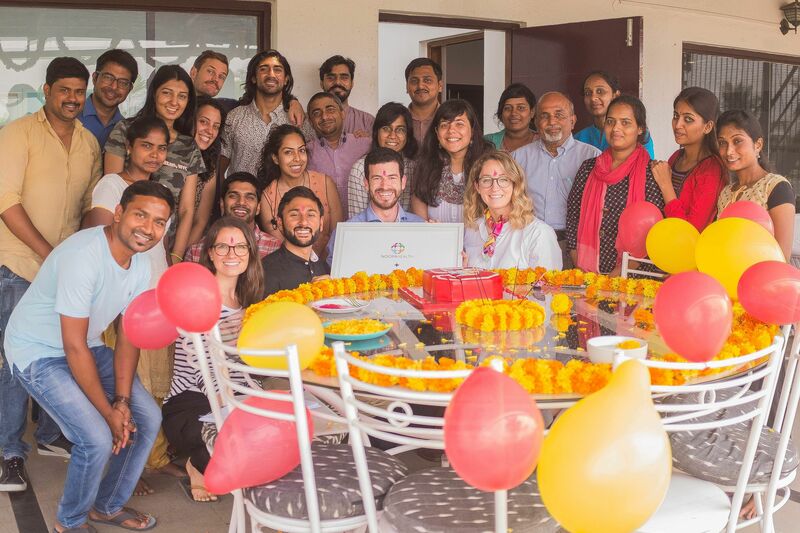 To complete their project on 'Design for Extreme Affordability', they came all the way to India to do a healthcare project especially for the poor. It was during this time that they chose to visit hospitals in India to understand what they could do that people would benefit from. Explaining how the project took shape, Shahed tells us, "After visiting many healthcare facilities, talking to doctors, nurses, patients and their families — the thing that struck us the most was the disengagement of the family members from the process of healthcare delivery. On the other hand, healthcare providers were doing the best they could, but they pushed it to the limit in terms of the time they took to care for patients. During our visits to people’s homes, we found that there was often poor follow-up and even simple instructions like taking medicines on time were ignored. We realised that many diseases were preventable and the actual potential was in training family members." The model and methods used by Noora Health are very unique and they change depending on the literate and illiterate population in a particular rural or urban area. While Noora volunteers approach most families directly, in some cases, the training is provided by hospital staff. "We partner with hospitals and train their staff who in turn train families, embedding our programme through their process of healthcare delivery. We design content that is engaging for low literacy populations and mobile tools to follow up with families so that they continue to receive the information that they need to care for the patient when they go home," explains Shahed. He further adds, "We focus on basic health practices that can lead to proper recovery and sustained health. These behaviours depend on the type of patient, but in the case of newborn babies with low birth weight, we teach families the importance of skin to skin thermal care, proper breastfeeding techniques, maternal diet and recognition of signs of malnutrition and common things like the fever. During this training, we use simple terms to help them understand and avoid medical jargon. This way, we are helping people return home with confidence rather than anxiety." When we ask him how important it is to have such healthcare programmes in India, he says, "Development of healthcare systems often focuses on implementing new technologies and treatments. Often, this focus deviates from the notion that healthcare first belongs in the hands of the people themselves. In a country like India, where resources are limited and there is a large population to serve, simple yet cost-effective solutions are necessary to advance health outcomes." Noora Health is currently working with hospitals in India and they plan to expand this programme by 2019. They are also working with hospitals in the US to create another version of their model and implement it. 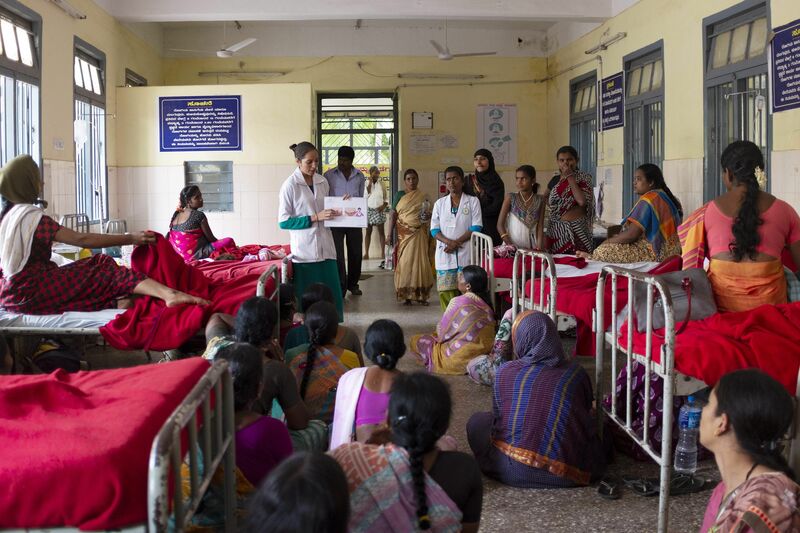 Till date, they have trained 2,61,653 families and 46 hospitals in different states of India.